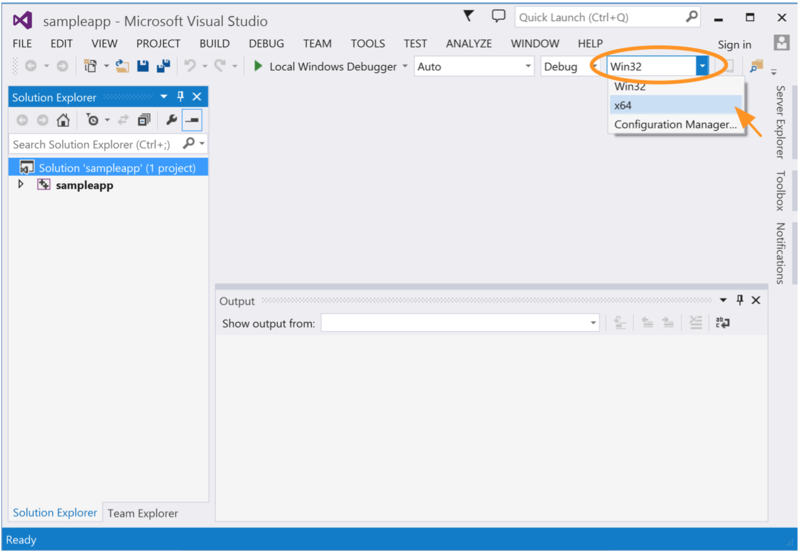 Windows 8.1 with Visual Studio 2013 or Cygwin. 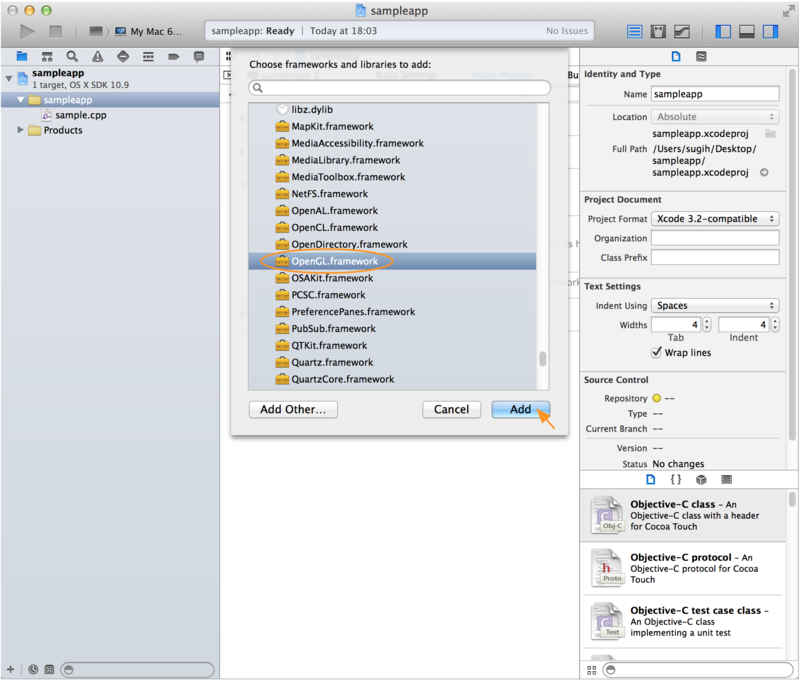 Sample code: the sample Makefile and source code build a simple line drawing application and runs on Linux, Mac OS X, and Windows platforms. You can also try out some examples with buffer objects and shaders. For instructions on how to build GLUT programs, please refer to the course note Building OpenGL/GLUT Programs. Please let me know if you have any correction or addition. Thanks. 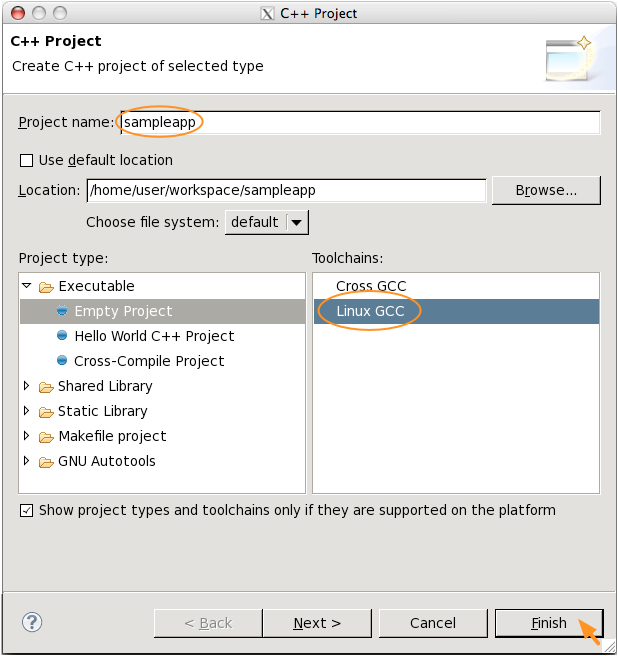 To find out how to specify command line options, add to header file search path, and link with libraries such as glew, expat, jpeg, and png, see the course note on these topics. You don't need to include gl.h as it is already included in glfw3.h. For an example, see the provided sample source code. 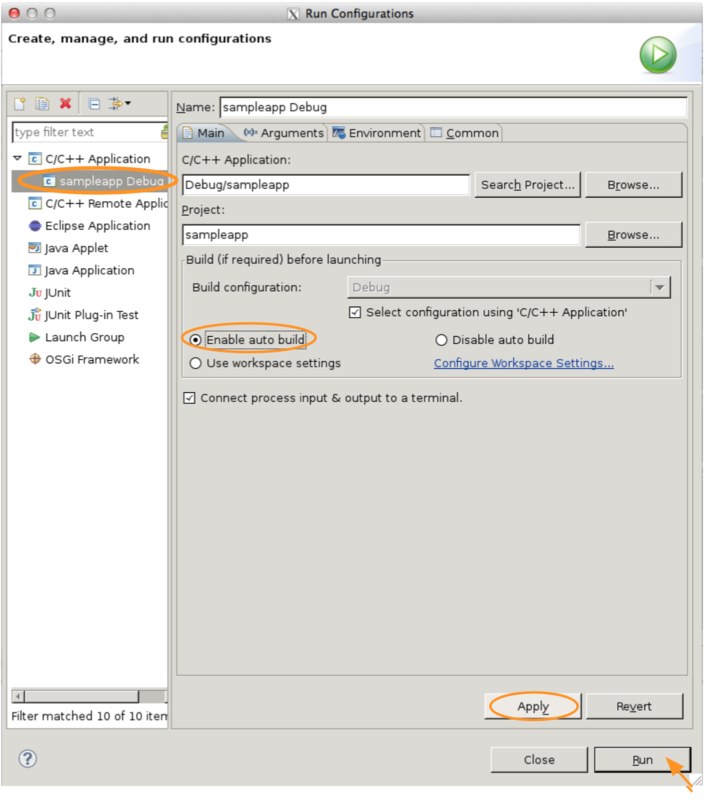 If you want to include glu.h automatically, set the -DGLFW_INCLUDE_GLU compiler flag. The last three libraries are needed on Ubuntu 14.04.1. 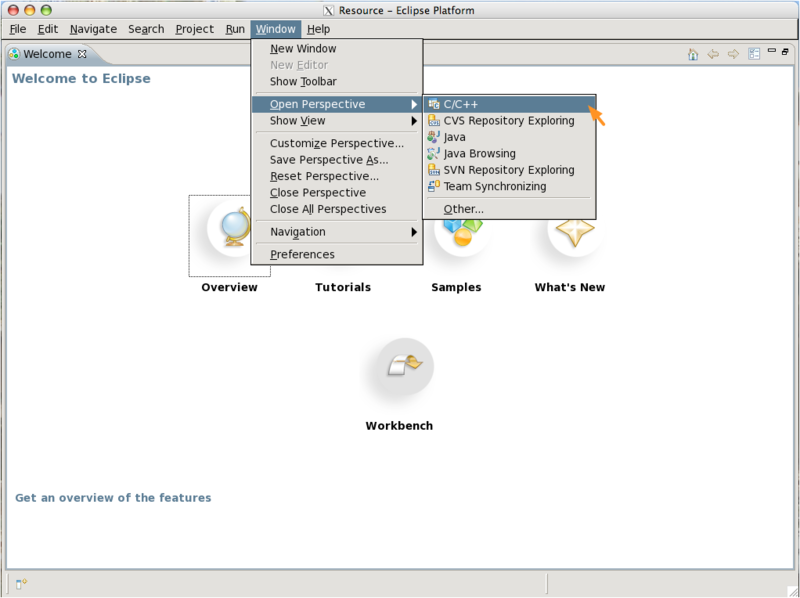 Open the C/C++ perspective: on the main menu select "Window→Open Perspective→C/C++" (Fig. 2). 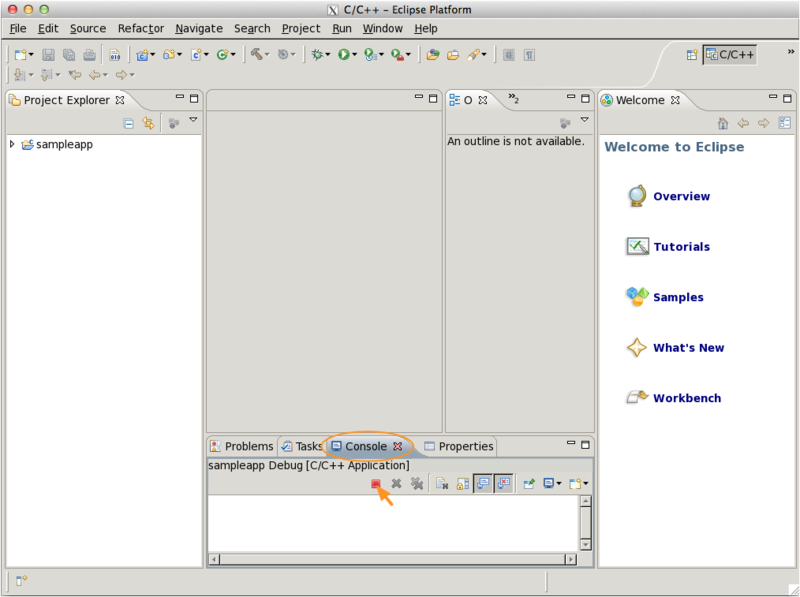 If the C/C++ perspective is not available, choose "Other..." and it should show up in the window that pops up. 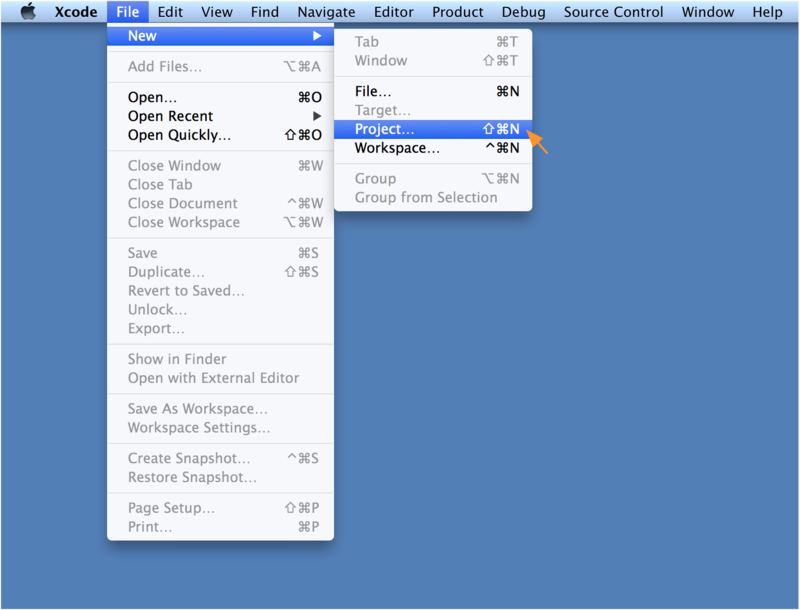 On the "File system" page, either type in the directory where your source file resides, or click the "Browse" button next to "From directory:" to choose the directory (Fig. 7). 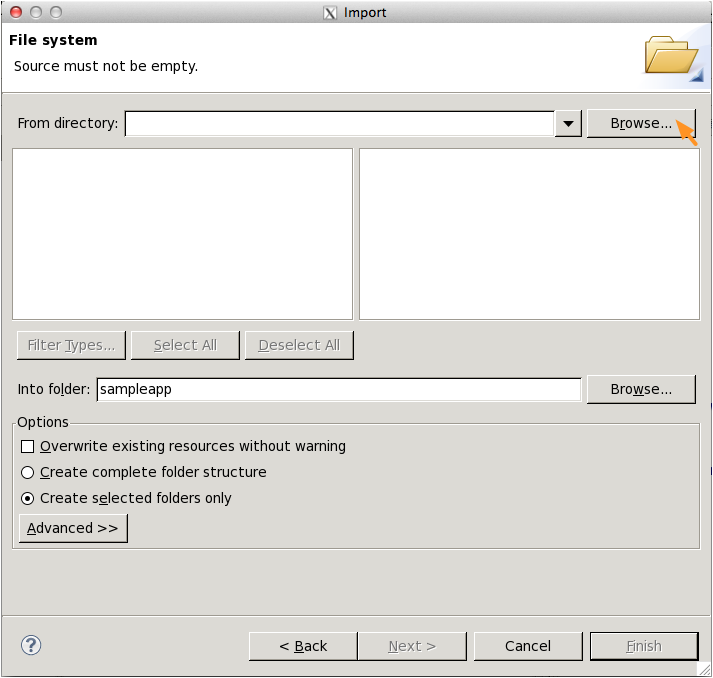 In browsing for the directory, remember that you're telling eclipse the directory where your source files are, not the source files themselves. 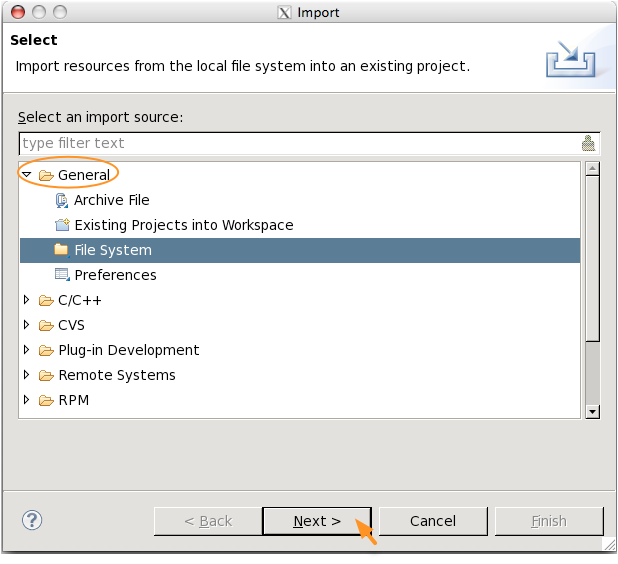 On the popup dialog box type "GL" and click "OK"
Repeat the above two steps to add "glfw3", "m", "Xrandr", "Xi", "X11", "Xxf86vm", and "pthread" libraries. 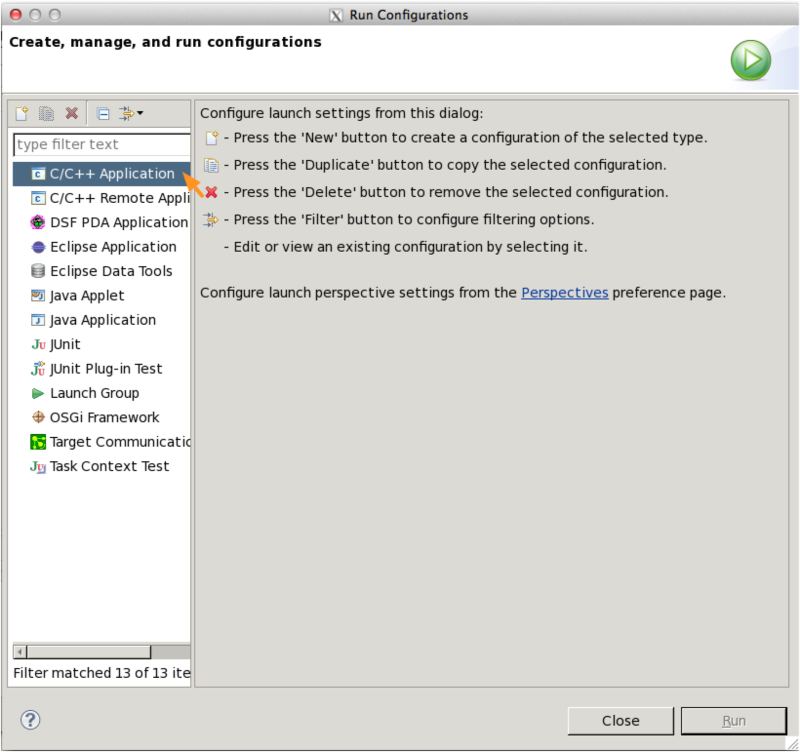 On the "Create, manage, and run configurations" page, double click on "C/C++ Application" (Fig. 15). 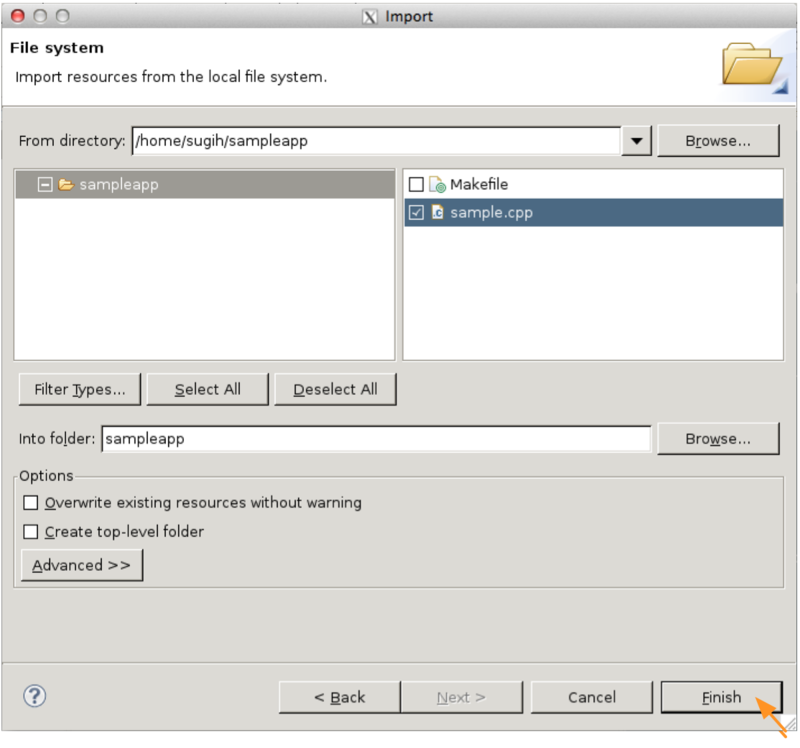 It will create a "sampleapp Debug" application. 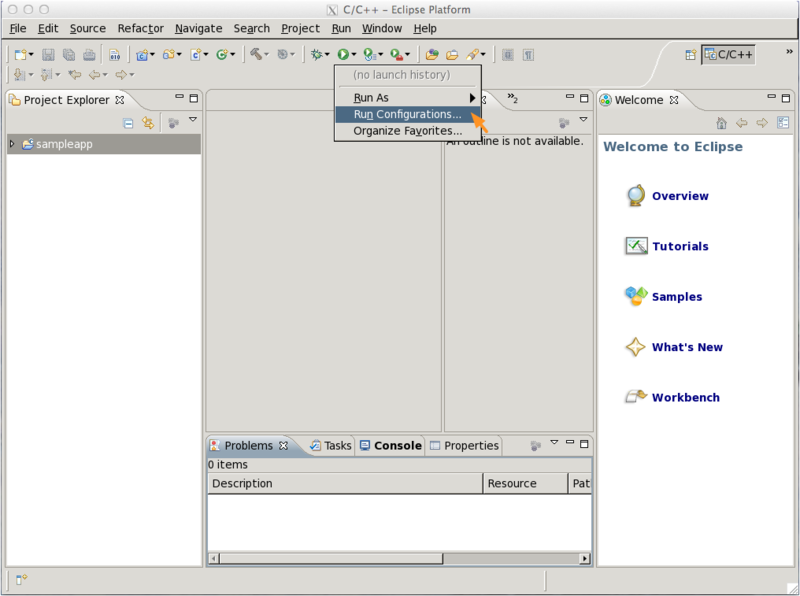 Click on the "Console" tab on the lower part of the central pane to view the console output of the program, if any. Click on the red square to stop the program. (Fig. 17). cmake .. -DGLFW_USE_RETINA=0 -DBUILD_SHARED_LIBS=1 -DCMAKE_C_FLAGS="-Wno-deprecated"
You don't need to include gl.h as it is already included in glfw3.h. 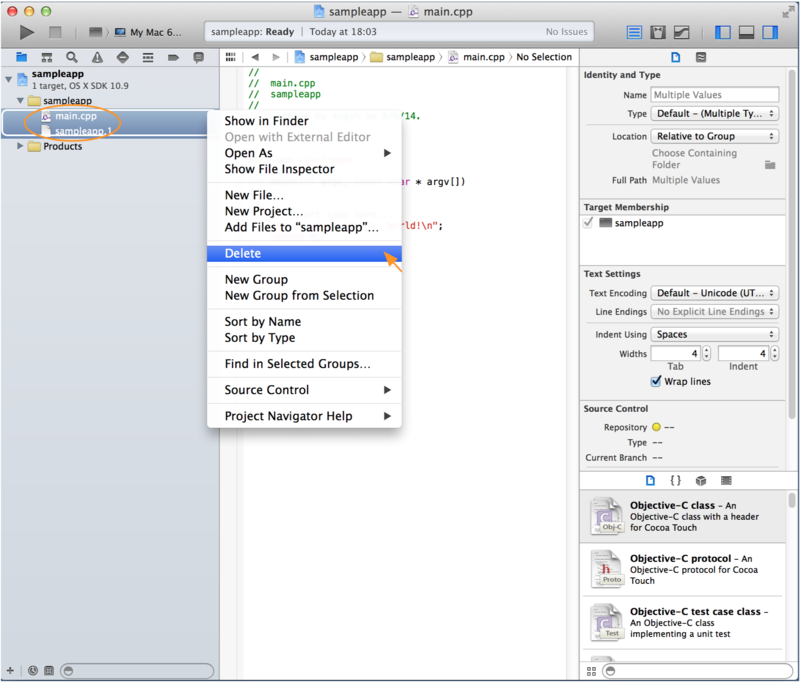 For an example, see the provided sample source code. If you want to include glu.h automatically, set the -Wno-deprecated -DGLFW_INCLUDE_GLU compiler flags when building your app. Select "File→New→New Project" (Fig. 18). "Application→Command Line Tool" and click "Next" (Fig. 19). 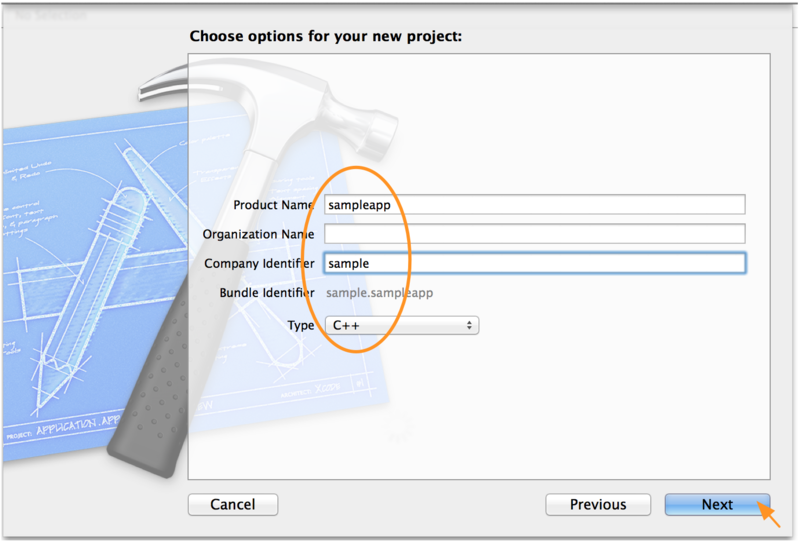 For the sample code, specify "Product Name" as "sampleapp", "Company Identifier" as "sample", select "Type" "C++", and click "Next" (Fig. 20). 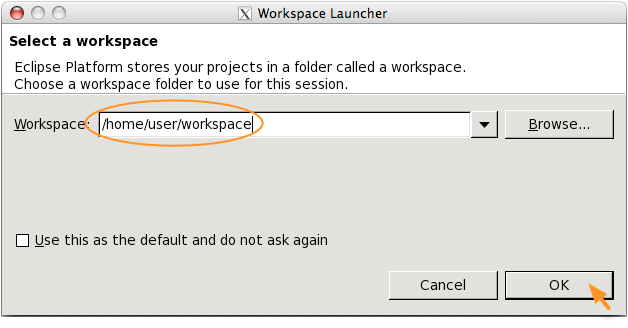 A window pops up to prompt you where you want to put the new project folder. In this example I've decided to put the project folder on my Desktop. 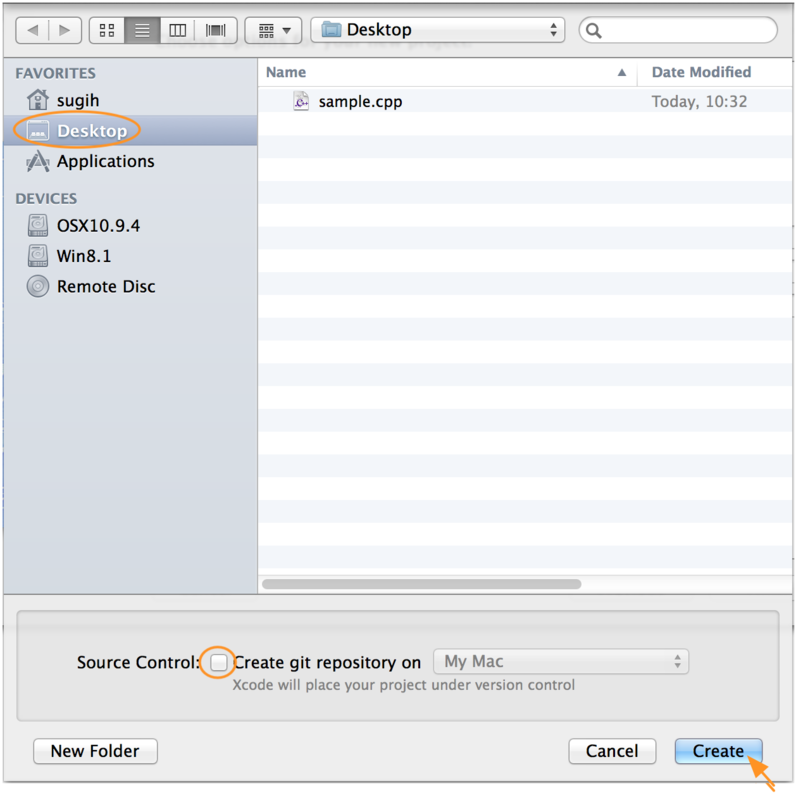 Uncheck "Create git repository on [My Mac]" if you don't want it. 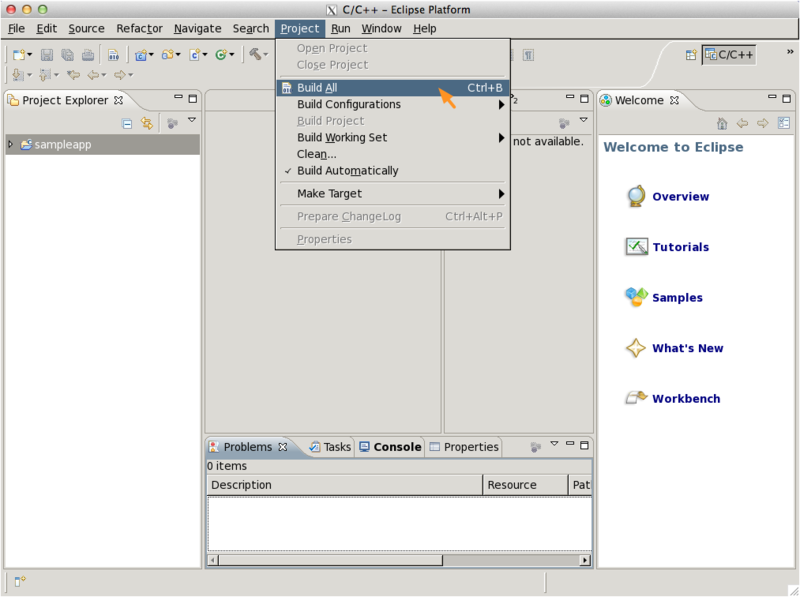 Then click "Create" (Fig. 21). In the leftmost pane, under "sampleapp" select "main.cpp" and "sampleapp.1" and right click to Delete them (Fig. 22). Click "Move to Trash" on the confirmation dialog box. 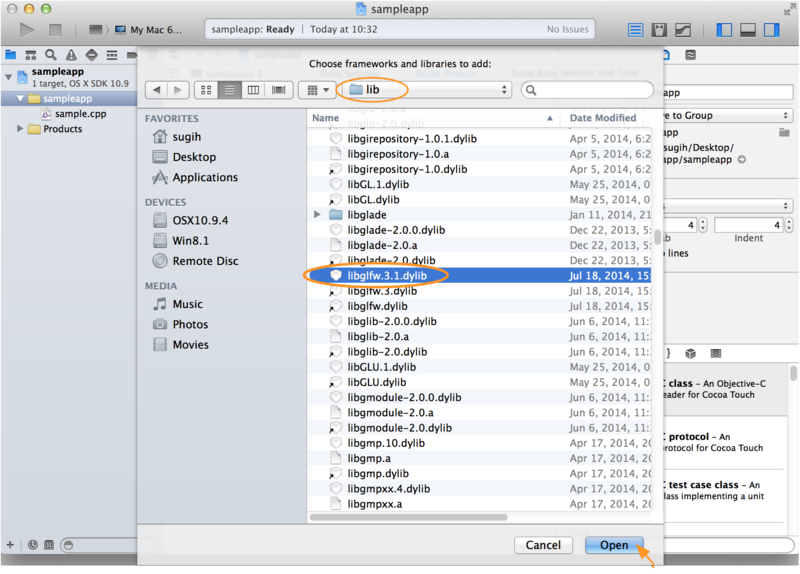 Right click on "sampleapp" at the top of the left most pane and select "Add Files to 'sampleapp'" (Fig. 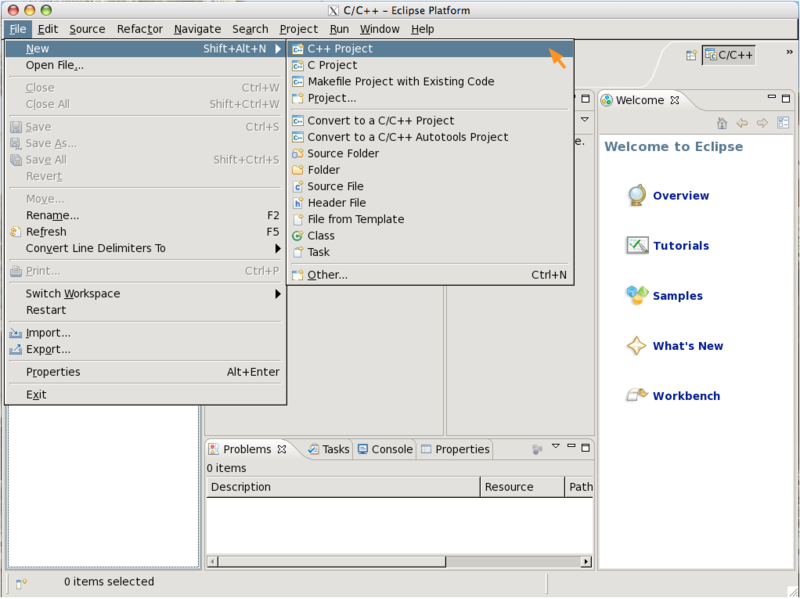 23), select your file, for example, the provided sample.cpp. 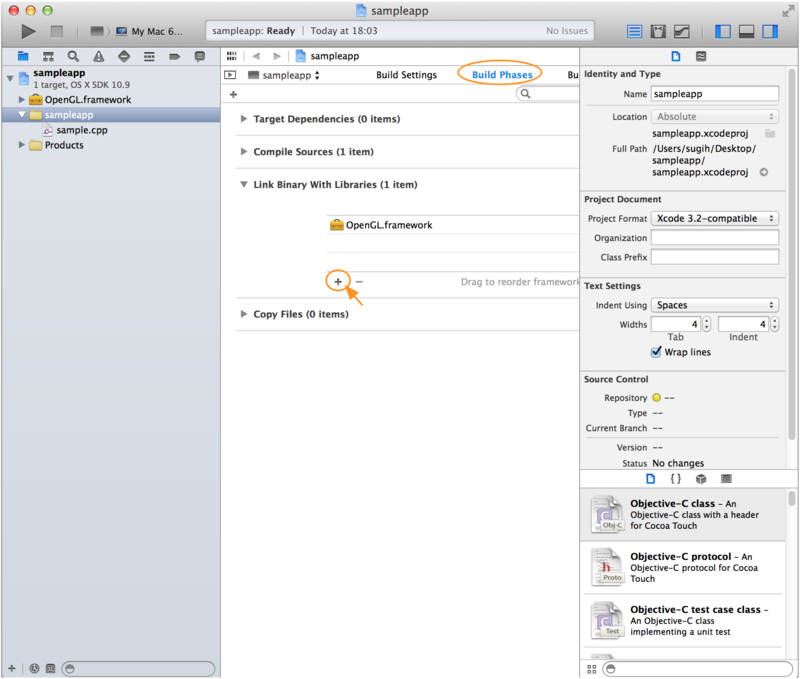 You can choose whether to copy added items into the project folder. I've chosen to do so in this example. Click "Add" (Fig. 24). 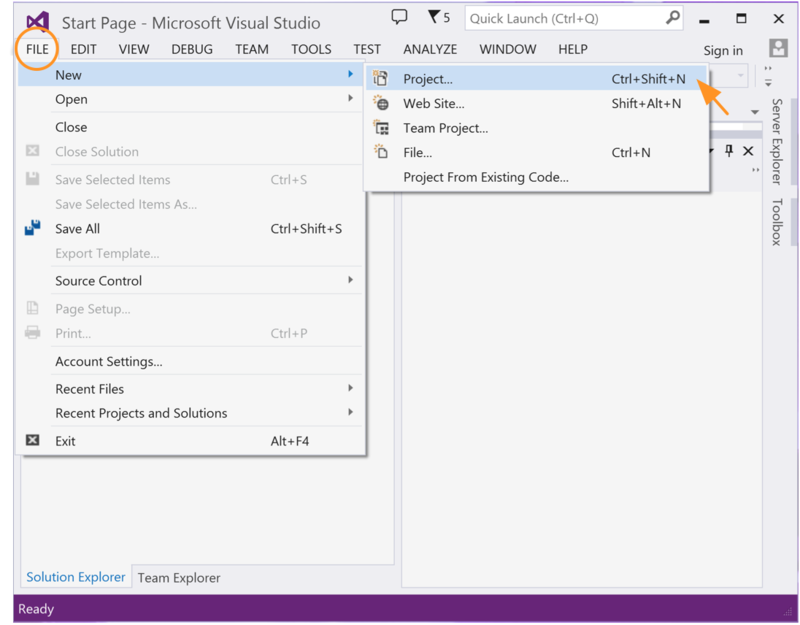 In the middle pane, click the "Build Phases" tab, open the "Link Binary With Libraries" list, and click the '+' sign at the bottom left corner of the list (Fig. 25). A list of frameworks should pop up. Scroll down to "OpenGL.framework" and click "Add" (Fig. 26). Click the '+' sign as per above again to bring up the list of libraries and frameworks (Fig. 27). But this time click the "Add Other . . ." button (Fig. 28). 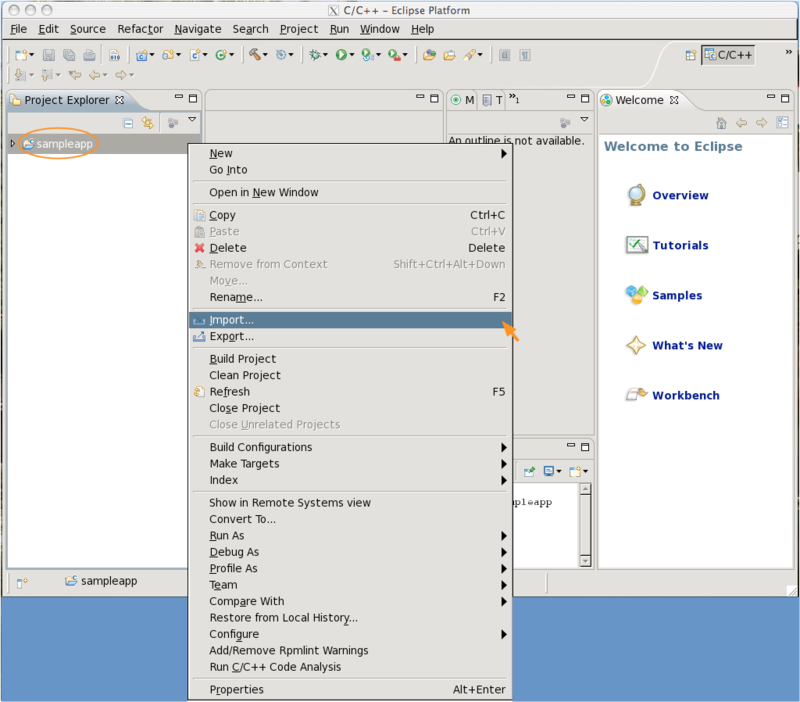 In the file selection window that pops up, navigate to /opt/local/lib and search for libglfw.3.1.dylib, select it, and click "Open" (Fig. 29). 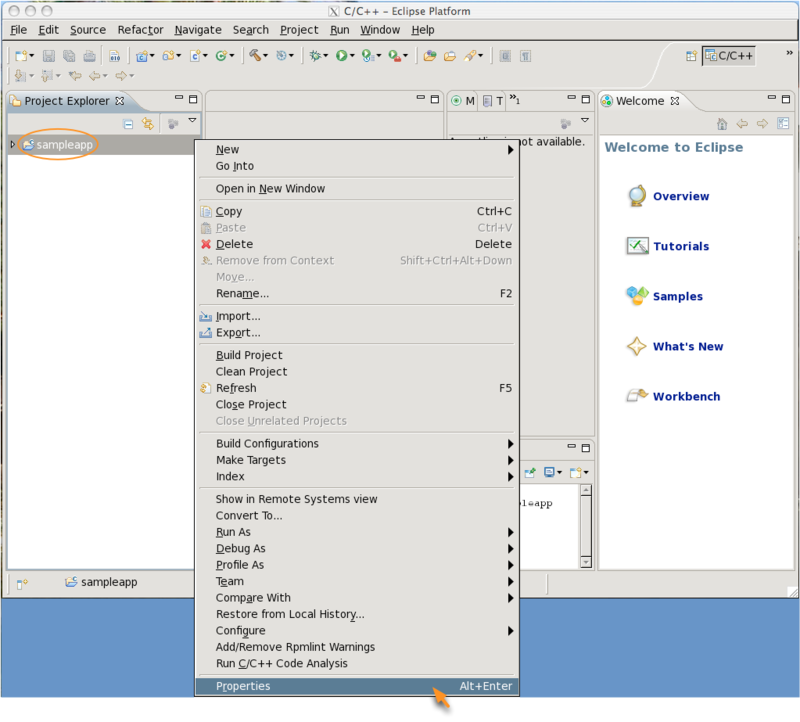 In the middle pane, click the "Build Settings" tab, on the second menu of the panel, click on "All". Scroll down (or search for) "Header Search Paths". 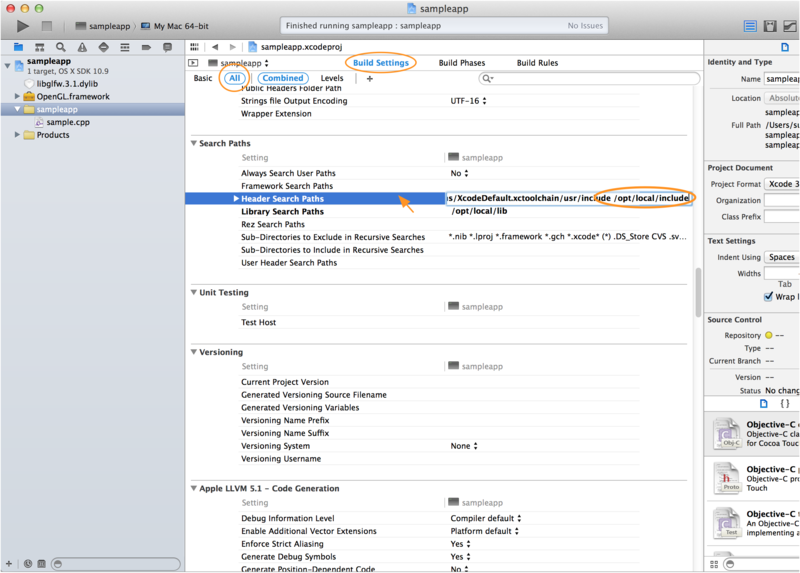 Double click to the right of "Header Search Paths" and append " /opt/local/include" (without the quotes but WITH a space to separate this path from the existing ones) (Fig. 30). 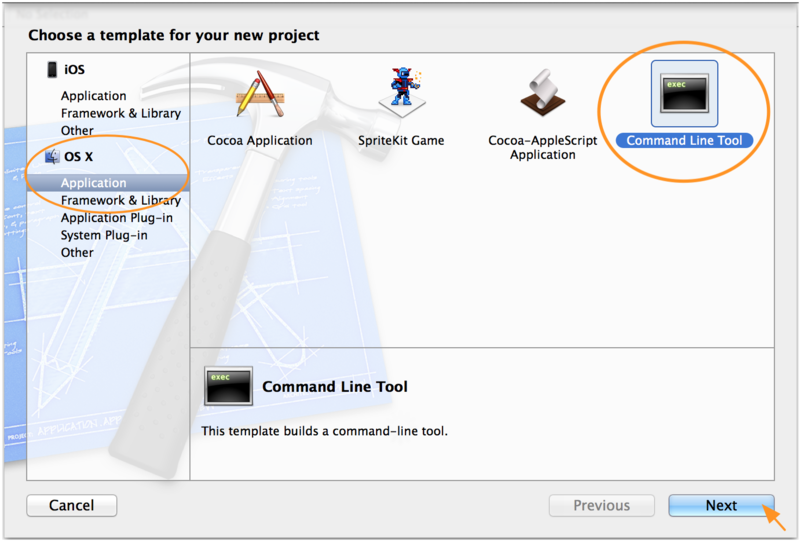 Click on the play button at the top left corner of the Xcode window to build and run the program. 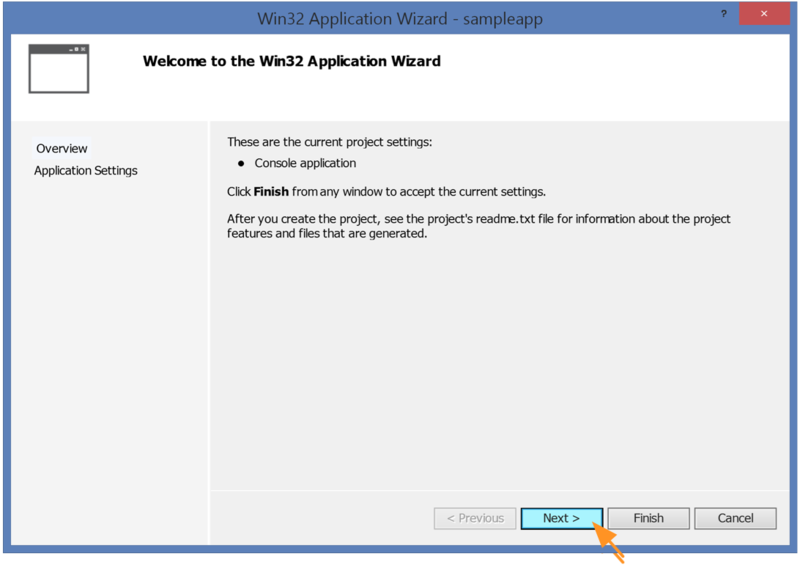 You have the option to build 32- or 64-bit apps. If your app requires a lot of memory, for example, if it loads large texture files, and you expect it to run on 64-bit machines with 4GB or more RAMs, you can opt to build a 64-bit app. For the apps we build in the course, 32-bit is sufficient. Your installation may have something other than um on the path. Command line make: see the instructions for Cygwin below. 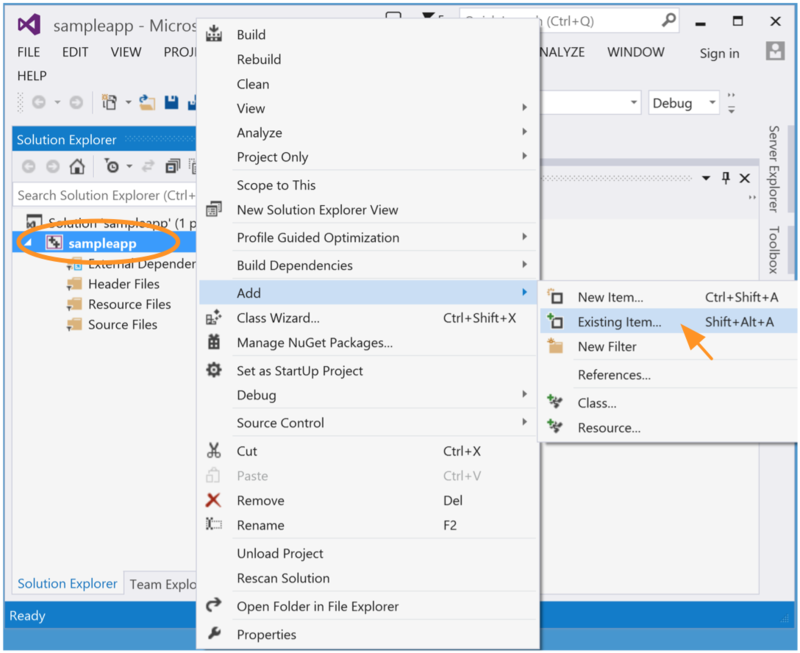 To build a 64-bit app, click on the drop down menu next to the third textbox on the second menu bar at the top of the window ("Solution Platform" should show up when you mouse over it) and choose "x64" instead of "Win32" (Fig. 35). If you don't have "x64" as an option, select "Configuration Manager" and create a new platform definition by simply copying the Win32 configuration when prompted. 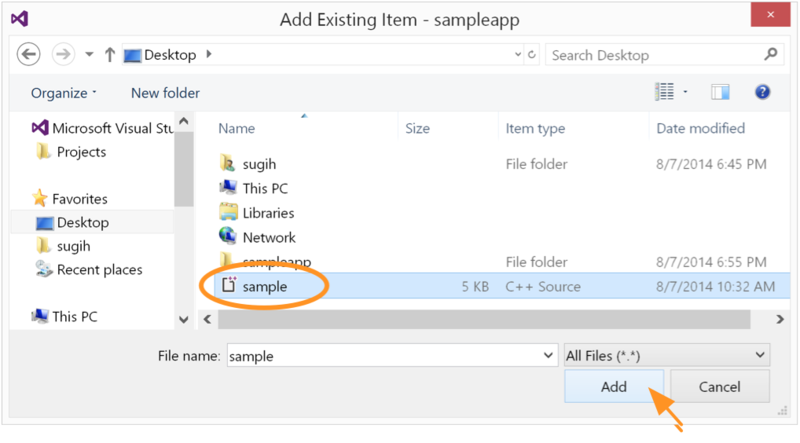 select your source and header file(s), for example, the provided sample.cpp, and click "Add" (Fig. 37). 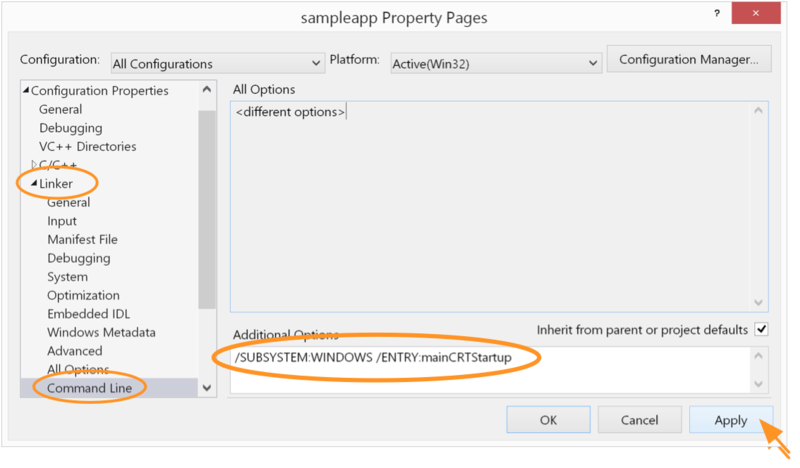 Right click on "sampleapp" again and select "Properties" (Fig. 38). then click "Apply" (Fig. 41). You may not want to disable the console window if you print out messages to the console (see next step). 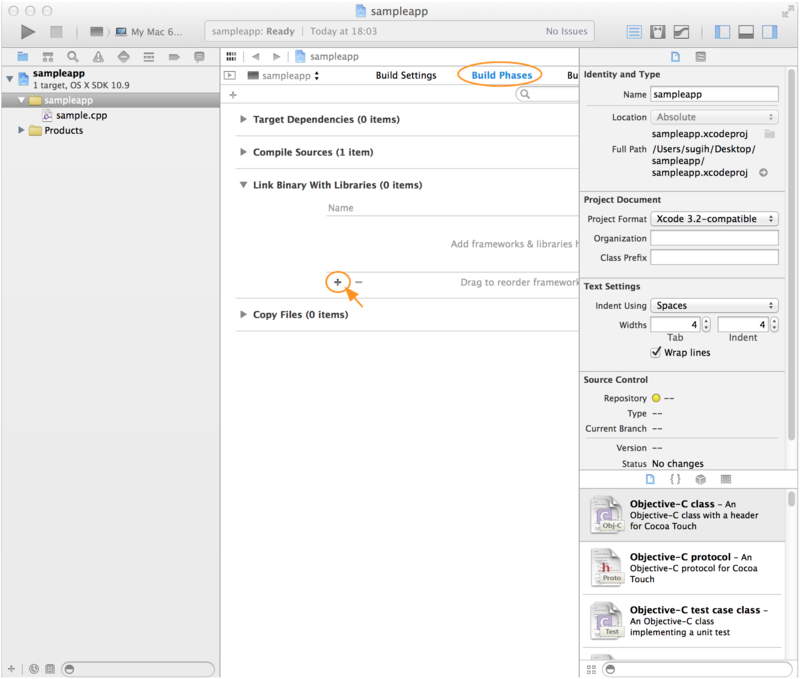 Close the "Property Pages" pane by clicking "Ok", then click on the play button on the second menu bar to build and run the program. If you print out messages to the console, run the program using Ctl-F5 instead, to keep the cmd window from exiting after the program exits. 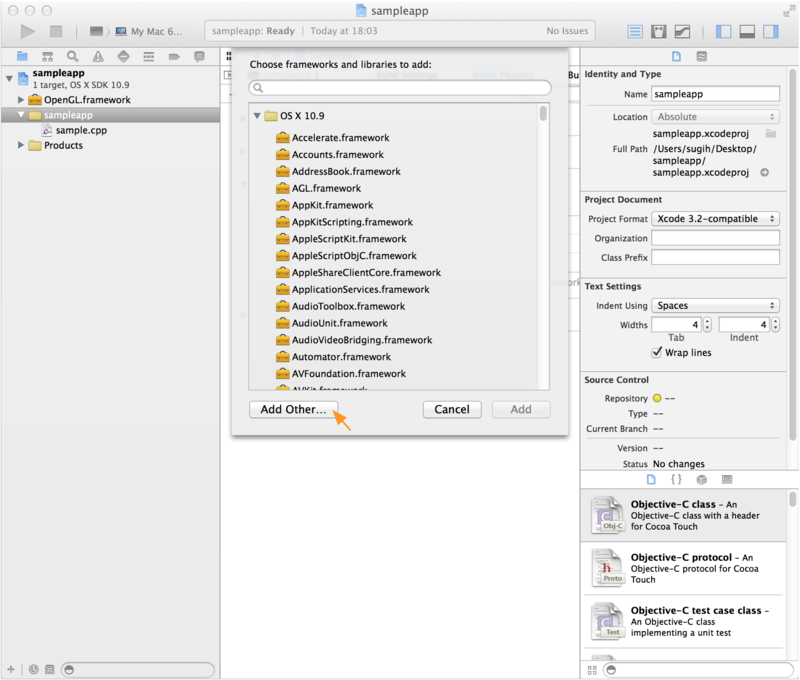 If you've built with DLLs, to distribute your app, you may need to distribute the DLLs along with it. 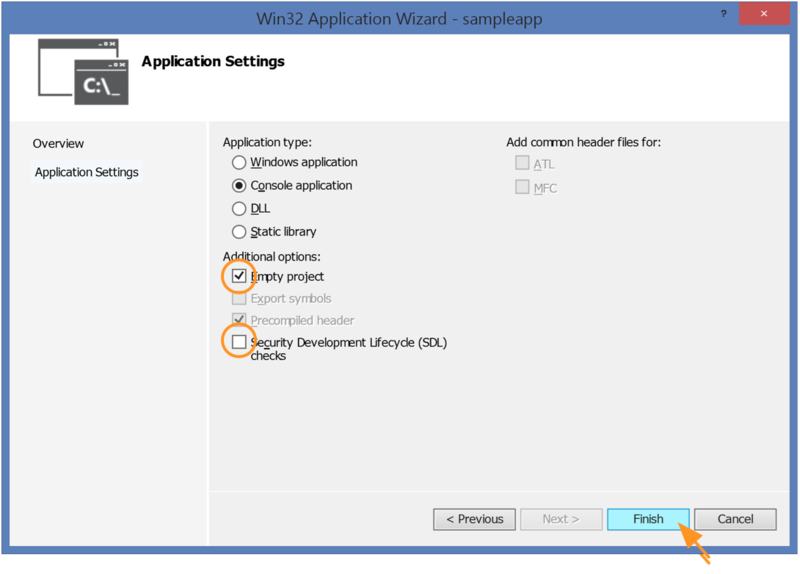 Install Cygwin/X11 by downloading and running its setup program. If you're installing 64-bit version, x86_64-pc-cygwin is the compiler toolchain, i.e., compiler, linker, archiver, etc. you get by default. As installed, Cygwin builds X11 (OpenGL/GLX) apps instead of native Windows (OpenGL/WGL) apps. Unfortunately GLX programs on Cygwin that use buffer object segfault on the call to glBindBuffer() and those that uses shaders segfault on the call to glCreateProgram() for me. I have also not been able to compile GLFW for Cygwin/X11 for lack of Xf86VidMode library. So we'll build WGL apps instead. On 64-bit Cygwin, you can choose to build either 32- or 64-bit apps. If you use static libraries, you can set up Cygwin to support both. You'd have to create the include and GLdirectory. Here YOUR_TOOLCHAIN is x86_64-pc-cygwin, so replace every occurrences of YOUR_TOOLCHAIN with x86_64-pc-cygwin, we'll see the use of other toolchains below. When linking against a library, unlike Visual Studio, the MinGW/Cygwin linker looks for either lib<pkg>.a or <pkg>.lib, not lib<pkg>.lib. 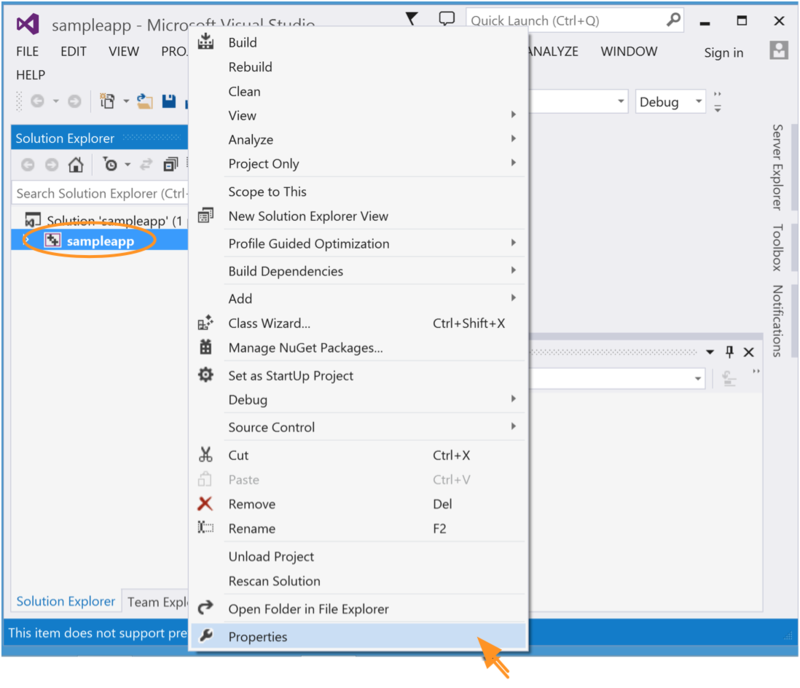 You must add /usr/YOUR_TOOLCHAIN/bin to your environment PATH variable prior to launching your app. If you use other libraries, e.g., GLEW, PNG, JPEG, etc. you'll need to link against the Win32 version of those libraries instead of the ones installed through Cygwin's setup program. See the course note on how to add libraries. 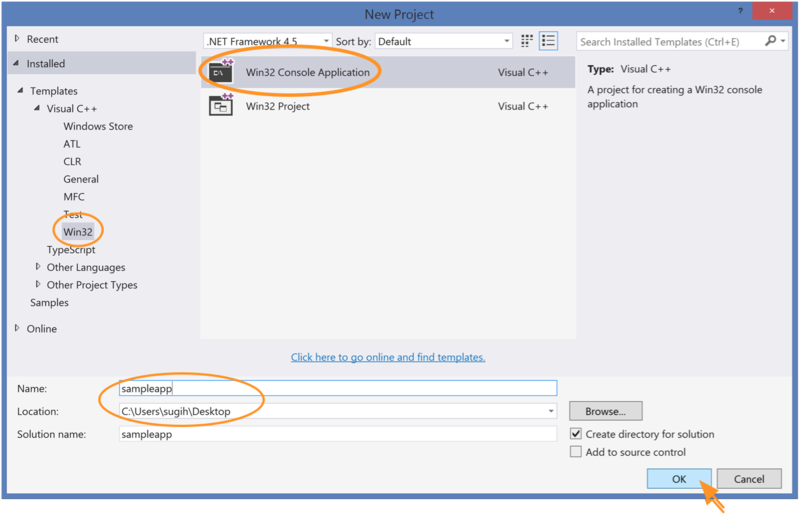 Prepare your source files as you would for Visual Studio above. 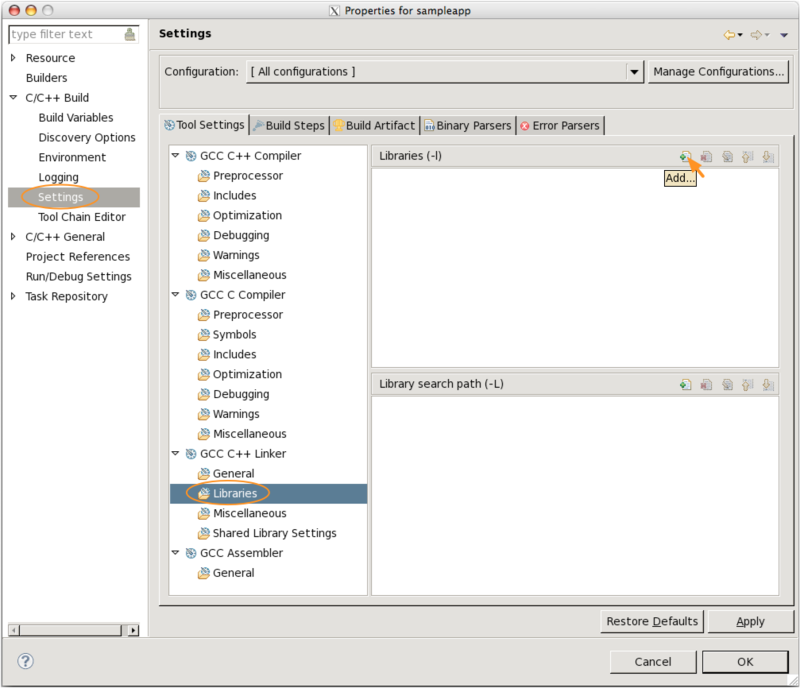 Jamin, S., Building OpenGL/GLUT Programs, 2013. GLFW, Building programs that use GLFW. 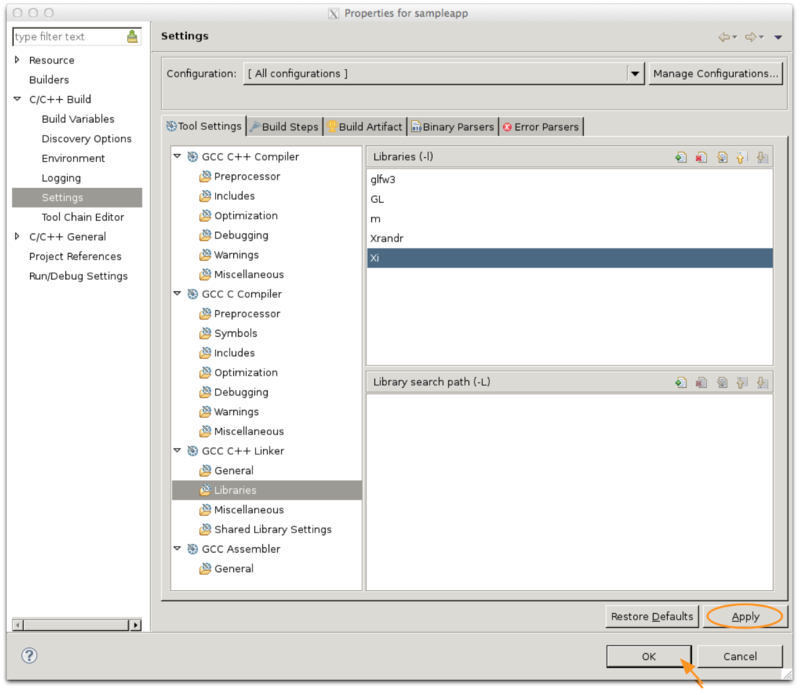 Bird, E. How to build & install GLFW 3 and use it in a Linux project, July 21, 2013.